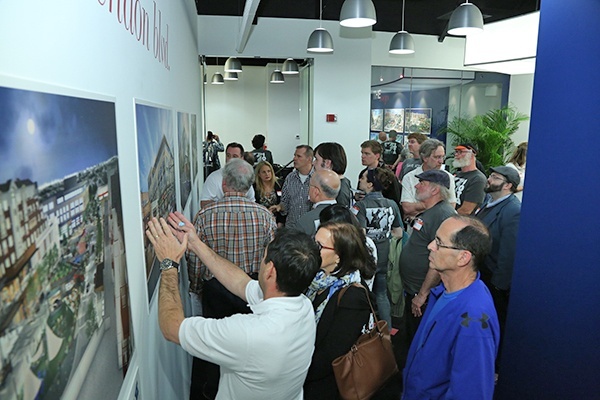 On a mild May evening, more than 200 community members came together and shared their vision and ideas for the future of Market Common Clarendon — a 392,960-square-foot shopping center in affluent Arlington, VA. The open-air center, currently anchored by Whole Foods Market, Apple, and Crate & Barrel, was acquired by Regency Centers and partner Avalon Bay in May 2016 from TIAA-CREF. Leading up to the event, we promoted posts on our social channels (Facebook, Twitter and Instagram) and fliers were passed out among Market Common Clarendon retailers, at the Clarendon Courthouse Alliance and to Avalon Bay apartment residents. Sidewalk and elevator signs teased the event around the property. Two walls with several colorful renderings of 2801 Clarendon Boulevard and The Loop. A kiosk with virtual reality headsets, which allowed attendees to toggle between 360-degree views and renderings of the proposed future of MCC. A post-it note station for improvement ideas. 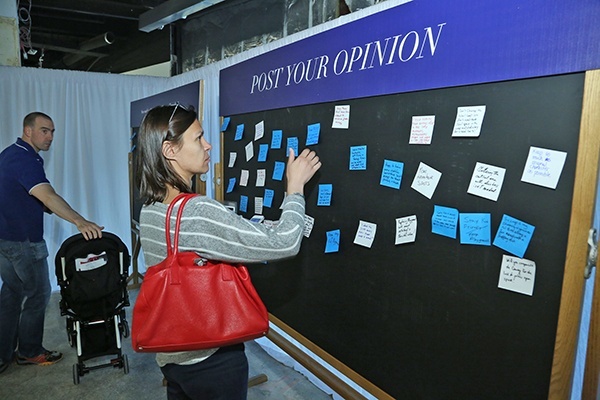 Visitors could add suggestions by tacking up post-it squares. 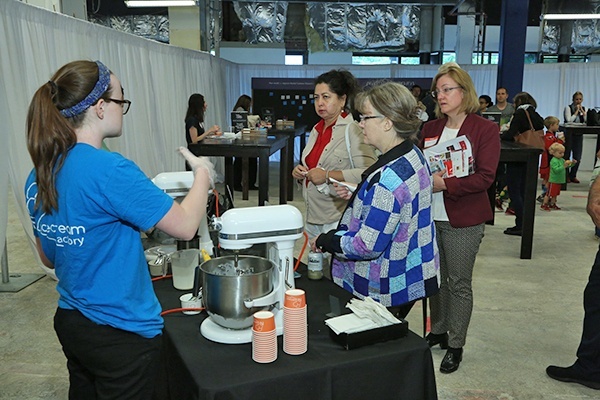 Passed small bites from MCC eateries La Tasca and Heritage Brewing were available, in addition to two flavors of created-to-order liquid nitrogen ice cream from NiceCream that were a popular treat station. We were also able to collect photography and videography at the event that can be used on the center's website and social media channels, plus at future meetings. Attendee feedback will soon be envisioned on a special webpage — www.marketcommonclarendon.com/imagine — that will allow others to add their feedback to the existing list of suggestions and ideas. For more details about the center, including leasing opportunities, photographs and a center site plan, please visit marketcommonclarendon.com.